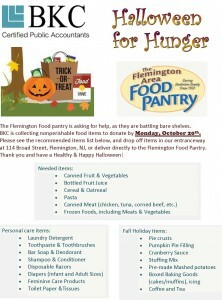 The Flemington Food pantry is asking for help, as they are battling bare shelves. BKC is collecting nonperishable food items to donate by Monday, October 20th. 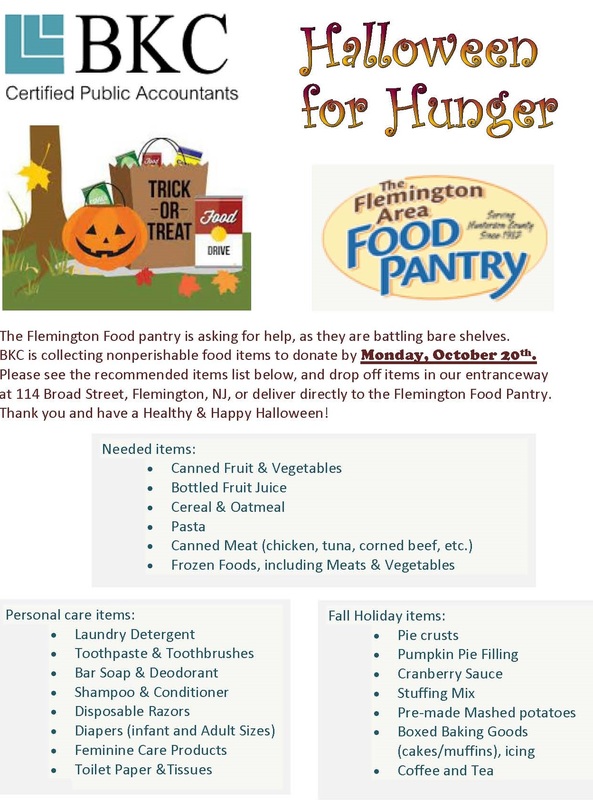 Please see the recommended items list below, and drop off items in our entranceway at 114 Broad Street, Flemington, NJ, or deliver directly to the Flemington Food Pantry. Thank you and have a Healthy & Happy Halloween!